Website design (Photoshop design) for ModelSpree. 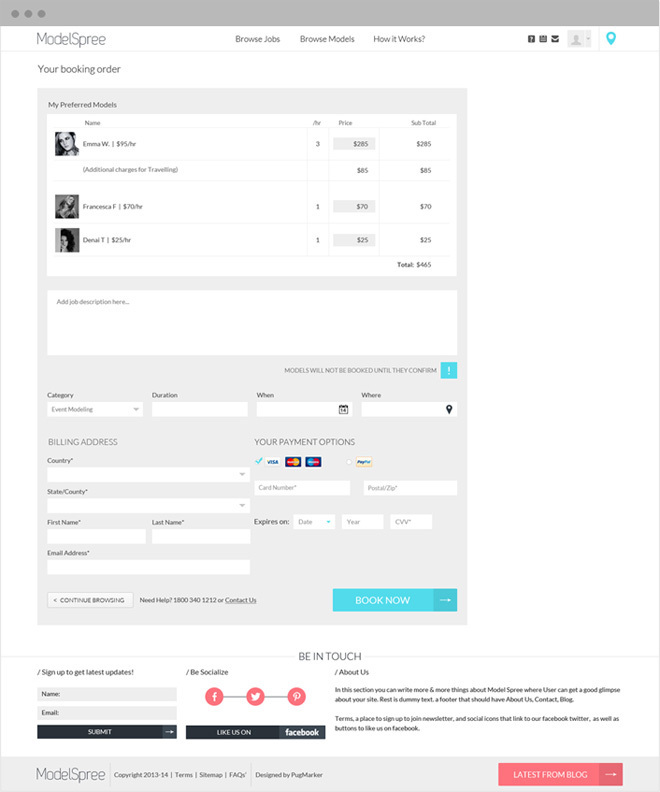 To create user friendly platform which will be easy to use for models & modeling agencies as well. 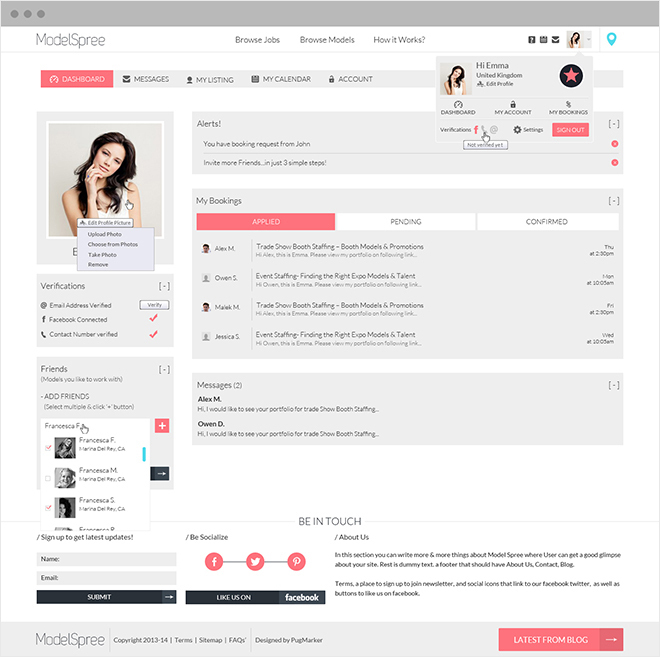 Dashboard, profiles, job listing page designs included.